Do you have weeds in your pastures? Do you want to create a fire barrier around you barn or neighborhood? 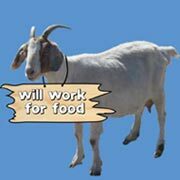 If you are in the Treasure Valley, email us at matt@werentgoats.com, or use the form below. We’ll get back to you as soon as we can! For emergencies only, contact (208) 337-3900.